It’s traditional that on the 31st of December the president of Senegal addresses the people and gives the balance of the year. 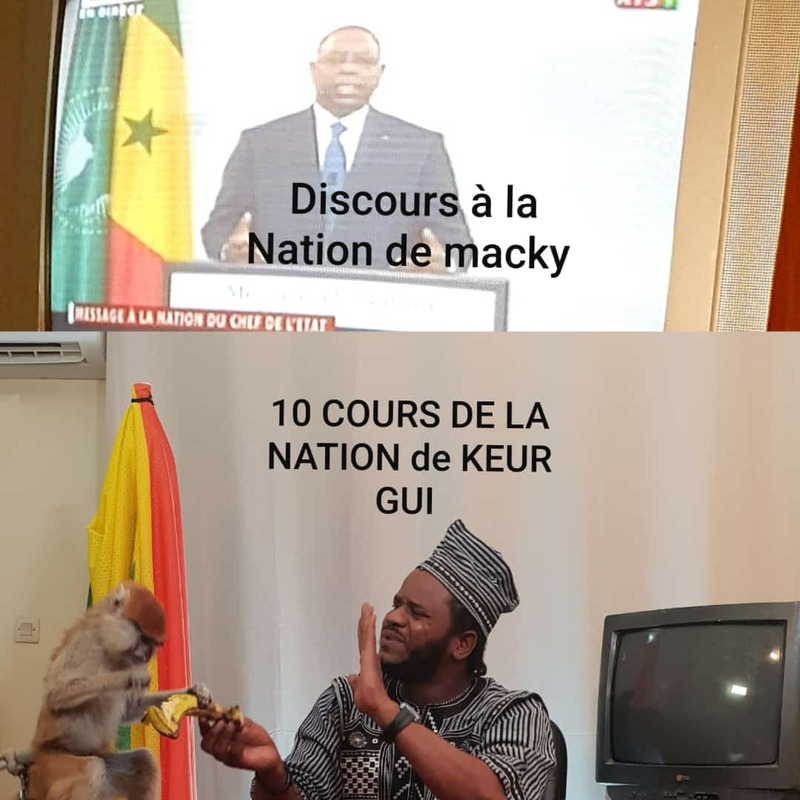 NThis year the rappers from KEUR GUI decided to release their own balance, the song “Les saï saï au coeur”, a harsh critic on president Macky Sall and his Government. Calling it a bunch of bandits, lazy incompetents, accusing it of corruption scandals, biasing justice, selling the country to foreigners while the people don’t have access to medical care, live in misery and terror. On February 24th elections will take place in Senegal. 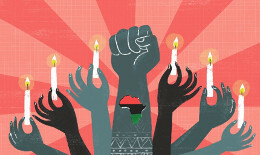 After the 7 years in power, Macky Sall has betrayed his people. The opposition is being arrested, the grassroots movement Y EN A MARRE its being discredit while Government is trying to remove any financial support given to them by NGOs. Once again politicians are on the side of corruption, repression, naked greed, selling the country’s richness to external agents while enriching themselves. Meanwhile the people have to face lack of education, health care system, employment, infrastructures and these are in many cases the reasons to risk their lives and flee. The “saï saï” expresses the feeling of the people as it has become a hit with over 1 million views. Hopefully it will encourage the population to take part in the elections, prevent the renewal of Macky Sall and will make people aware that the power is in their hands and the future of the countries depends directly on them. Rien, nada, rien à se mettre sous la dent. Avec ce banditisme d’état sans précédent. Mêmes truands, mêmes fainéants, mêmes incompétents, mêmes vieillards dans le vent. Combien de babouins ont transhumé? Combien de patrons de presse achetés? Combien de juges sans dignité? Combien ont une couverture médicale? Avec tes bourses sociales de misère. Rien que ton parti, oubliant la patrie. Les marchés publics aux occidentaux. Qui vivent à nos dépens. Nous ne voulons plus de toi. La justice est devenue partiale. Il a vendu toutes nos richesses. Ses partisans mènent la belle vie. Macky est un coquin notoire. Mais est prêt à t’envoyer à la DIC. Ce gars n’est pas digne d’un président. Tu nous as saigné à blanc. Elles vivent dans la terreur. Mais le peuple est désormais conscient. Y en a marre de toi. Il ne sait que se dédire. Et ce sera à nous de payer les dettes. Il n’y a pas de plateau médical. Il n’est là que pour son propre intérêt. Nous prive de nos droits. Les jeunes n’ont pas d’emploi. Le PSE n’est qu’un plan en bois. Avec ton gouvernement de connards. Tu n’échapperas pas à la prison de Reubeuss.